Time continues to slip past us at an incredible rate. As we age, our perception is that time moves even faster. Before we realize it, we take the place of our parents and soon we will observe our children taking our place. When my aunt, the last of her generation, passed away last fall, my cousin turned to me and said, "Well, we're it now. WE are the oldest generation." When did that happened? When did I become the 'oldest' guy around? I watch my three children as parents worrying about their children moving into the teenage years. Wow! Part of me laments at being older while the other part of me is happy that I don't have to raise teenagers again! 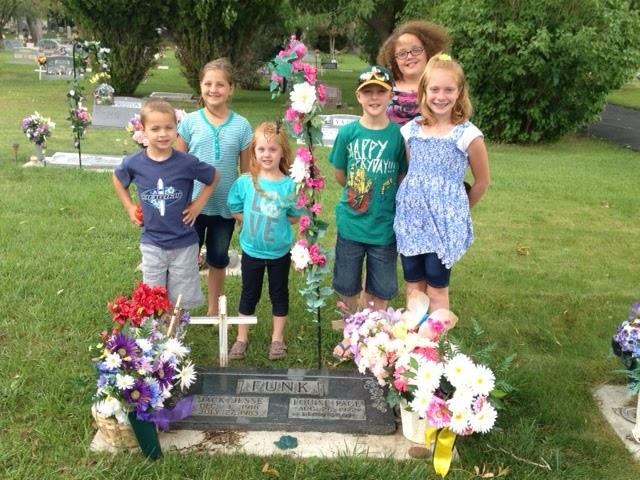 I had the opportunity to take my six grandchildren to my parents' grave recently. I really wish that my parents could have known my children and grandchildren as they are now. They are so interesting and individual. But, time marches on and I am happy to have been the bridge between these generations. This article is one of a kind, so helpful.